The awe-inspiring Jeff’s Cellar, a magnificent subterranean cave chamber integrated into a 260-million-year-old limestone hill. 'In-Private' takes dining-in to a new level of privacy. 'Sizzle and Flames' cocoons diners in The Balcony, a private cave chamber that overlooks the retreat’s hot springs lake. 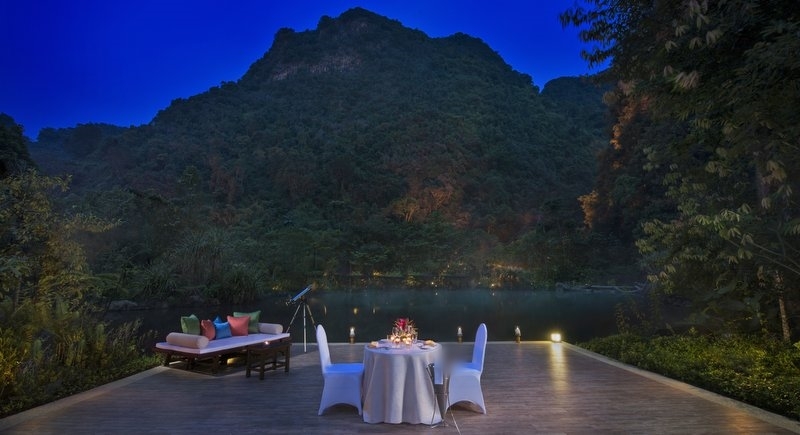 One of the most sought after experiences is “Star Struck” which sees you ushered to a private deck overlooking the hot springs lake, set against a breathtaking backdrop of towering limestone hills. The retreat is a 15-minute drive from Ipoh City, in the northern Malaysian state of Perak; and two hour drive north of the capital Kuala Lumpur. It can also be reached by car from Phuket in a 10-hour journey that crosses the Malaysian border. The Banjaran features a host of natural features including geothermal hotspring dipping pools, a thermal steam cave, meditation cave, crystal cave, doctor fish pool, a naturally-heated swimming pool, a yoga pavilion and more. The spa and wellness centre offers over 40 authentic Asian-inspired treatments and can cater to anyone’s tastes. 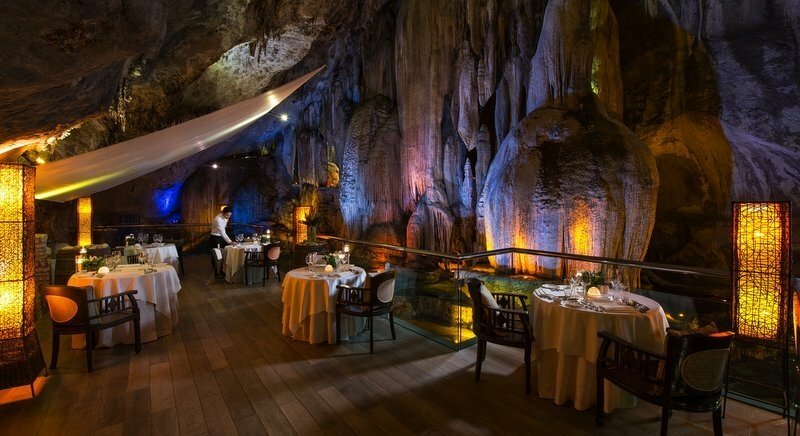 But for those more into dining than spa treatments, one of the most notable adaptations of the spectacular natural surrounding’s is Jeff’s Cellar, an ethereal cave chamber which is arguably one of the most unique dining venues in the world. To showcase its incredibly scenic dining venues the Banjaran is offering four distinctive dining experiences as part of what it calls its “Dine and Dream Food Journey”. Drawing inspiration from the mesmerising beauty of the destination’s natural surroundings, the menus are rooted in strong culinary sensibilities and highlight ingenuity and variety. Locally-sourced ingredients are cleverly used to titillate the palate with delicate flavours. They are hoping to lure discerning food and travel adventurers to visit their experiential and ethereal culinary destination and build on Ipoh’s recent recognition by Lonely Planet as “Asia’s top destination for food”. Diners have four choices, each themed to heighten the experience of the dining venue in which it is set, they include “Star Struck”, “Secret Escape”, “Sizzle and Flames” and “In-Private”. A leisurely seven-course set dinner menu is served as you dine under the stars, complete with a telescope to catch a glimpse of the heavens. For an ethereal dining experience, the “Secret Escape” takes diners into the awe-inspiring Jeff’s Cellar, a magnificent subterranean cave chamber integrated into a 260 million-year old limestone hill – it’s certainly not your average dining room. Diners can choose from a selection of seven-course set dinner menus. “Sizzle and Flames” cocoons diners in The Balcony, a private cave chamber that overlooks the retreat’s hot springs lake. 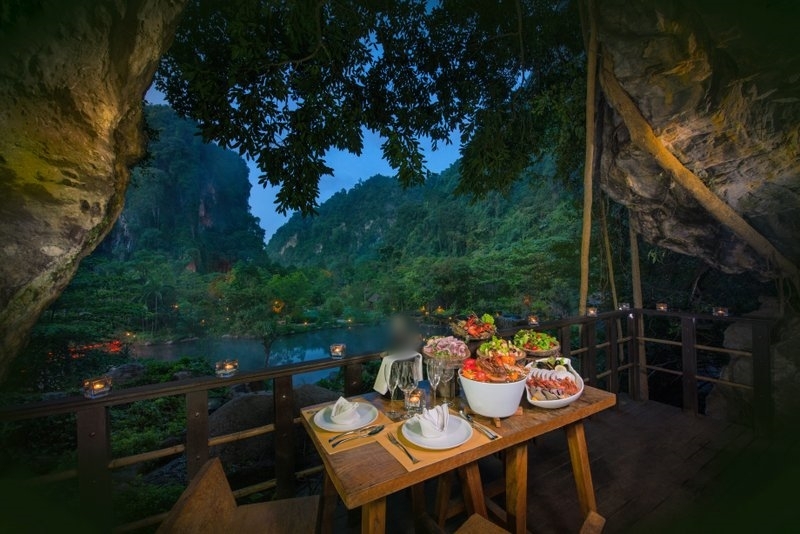 The lantern-lit cave is tucked away in the verdant tropical gardens offering guests an enchanting private dining experience with a dash of sparkle. It features a barbecue menu of premium meats and seafood, marinated to perfection served by an attending personal chef. “In-Private” takes dining-in to a new level of privacy. 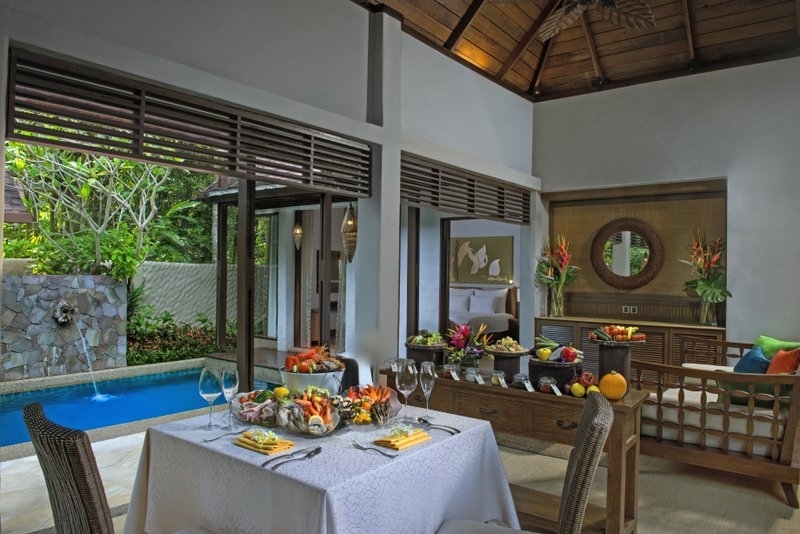 At a chosen area in the villa, guests are able to sizzle their own barbecue selections from a selection menu of premium meats and seafood; complemented by salad and dessert bars. “In-Private” is available for lunch and dinner and ideal for guests staying at the hotel. The Banjaran’s “Dine and Dream” culinary brigade is led by Malaysian-born Head Chef Lee Choon Boon. Chef Boon brings over 15 years of regional culinary experiences with several international hotel brands and award-winning independent restaurants. Castaldi Alex Rosario, General Manager of The Banjaran said, “Dine and Dream brings together food and destination as a cohesive recipe.